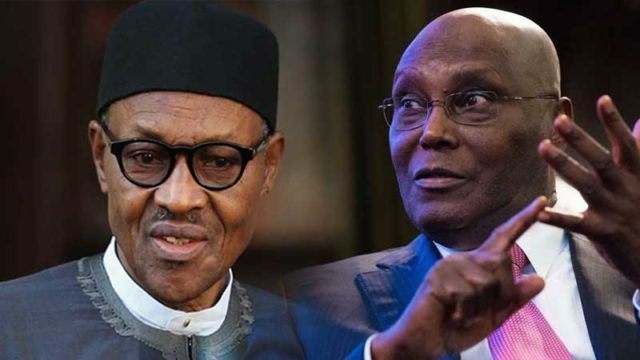 Few details of the petition filed on Monday by the Peoples Democratic Party and its presidential candidate in the February 23 election, Alhaji Atiku Abubakar, to challenge the victory of President Muhammadu Buhari and his All Progressives Congress, emerged on Tuesday. INEC had on February 27, 2019 declared that Buhari won the election with 15,191,847 votes to defeat Atiku, whom it said polled 11,262,978 votes. But the petitioners stated in their 139-page petition that “from the data in the 1st respondent’s (INEC’s) server…the true, actual and correct results” from “state to state computation” showed that Atiku polled a total of 18,356,732 votes to defeat Buhari whom they said scored 16,741,430 votes. They said the results were the total votes scored by the candidates in 35 states and the Federal Capital Territory Abuja, as there was “no report on sever” about the results from Rivers State as of February 25, 2019. By this, Atiku claims to have defeated Buhari with 1,615,302 votes.